Water treatment is the process to remove existing contaminants, to provide a safe source of water supply acceptable for drinking, cooking, bathing and washing. Water may be treated differently in different communities depending on the quality, even though technologies for potable water treatment are well developed, there is no unique or standard solution. 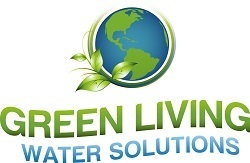 Green Living Water Solutions provides Southern Nevada with the most advanced technological systems from major American manufacturers, at the most affordable prices available. Speak with a Water Treatment Specialist in Las Vegas!